It starts with a fever, cough, itchy eyes, and then a head to toe rash–MEASLES! 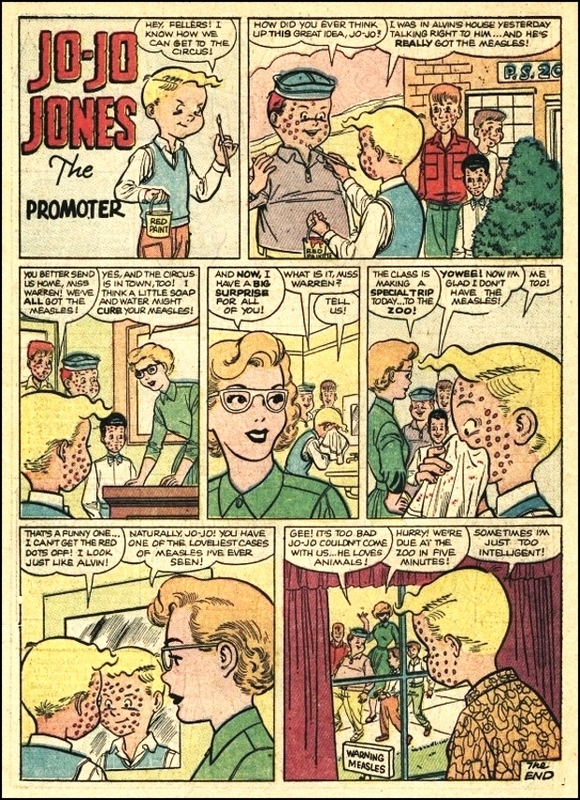 In the pre MMR era measles was the plot of television shows, comic strips, children’s books, and even television shows. No one feared it and everyone expected to catch it at some point! Measles was considered a normal part of growing up. A week home from school or work and you were granted the benefits of lifelong immunity to the measles and a stronger immune system. Flash forward to the modern world where the majority of people are heavily medicated, have chronic health conditions, and top it off by eating a diet of non nutritious pseudo foods. Yet, these people are scared to death of measles! Measles is still part of pop culture, but now the tone is different because measles is now looked upon as if it were the end of the world. What people in the modern world fail to understand is that measles plays a critical role in the development of the human immune system. Without measles and the other childhood illnesses it is impossible to have a fully formed immune system. Mumps, Measles, Chickenpox, and Rubella are important milestones in human development! This is why it is critical for the anti vaccine movement to fully embrace the concept of natural immunity and to promote it. In our efforts to end the vaccine lie we must recognize that nature has a plan and that plan is for people to have the minor illnesses of childhood so that it has a stronger immune system that is ready to fight off more serious illnesses later on. We must seek out these illnesses and keep them going as part of our fight! Measles vaccination in the US and many other countries started in the early 1960s, at the time when measles was naturally abating and was heading for the 18 year low. That’s why the vaccine seemingly lowered the incidence; however, this was only coincidental with the natural dynamics of measles. As one of many examples involving all infectious diseases of childhood against which vaccines have been developed, ever since any measles vaccines have been introduced and used in mass proportions, reports of outbreaks and epidemics of measles in even 100% vaccinated populations started filling pages in medical journals. 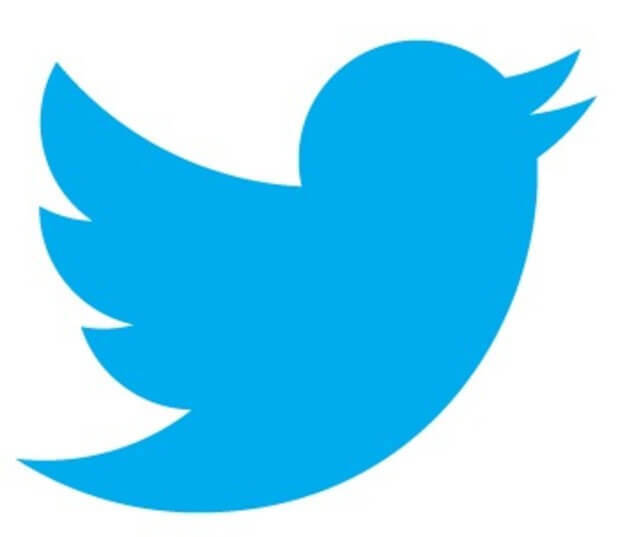 Reports of serious reactions including deaths also appeared with increasing frequency. They are the subject of a separate essay. It is less well known to the general public that vaccinated children started developing an especially vicious form of measles, due to the altered host immune response caused by the deleterious effect of the measles vaccines. It resisted all orthodox treatment and carried a high mortality rate. Rauh and Schmidt (1965) described nine cases of AMS which occurred in 1963 during a measles epidemic in Cincinnati. The authors followed 386 children who had received three doses of killed measles virus vaccine in 1961. Of these 386 children, 125 had been exposed to measles and 54 developed it [i.e. measles]. The new, atypical measles, occurring in the vaccinated was characterised by high fever, unusual rash and pneumonia, often with history of vaccination with killed measles vaccine. Rauh and Schmidt (1965) concluded that, “It is obvious that three injections of killed vaccine had not protected a large percentage of children against measles when exposed within a period of two-and-a-half years after immunization”. Fulginiti (1967) also described the occurrence of atypical measles in ten children who had received inactivated (killed) measles virus vaccine five to six years previously. Nichols (1979) wrote that atypical measles is generally thought to be a hypersensitivity response to natural measles infection in individuals who have previously received killed measles vaccine, although several investigators have reported AMS-like illness in children who had been vaccinated only with live measles vaccine. He wrote that during a measles epidemic in 1974-1975 in Northern California, a number of physicians reported laboratory-confirmed measles in patients who had signs and symptoms, compatible with AMS…”We developed case criteria on the basis of serology and rash distribution and morphology. In typical measles a maculopapular rash occurs first at the hairline, progresses caudally, is concentrated on the face and trunk, and is often accompanied by Koplik’s spots. In AMS the rash Is morphologically a mixture of maculopapular, petechial, vesicular, and urticarial components. It usually begins and is concentrated primarily on the extremities, progresses cephalad, and is not accompanied by Koplik’s spots. Cases were classified as AMS if patients had 1) a rash with the distribution and morphology characteristic of AMS, and 2) a fourfold or greater rise in titer of complement-fixing measles antibody or a convalescent titer of 256”. Continuing measles outbreaks signal increasing incidence comparable with the pre vaccine era. In the meantime, outbreaks of measles in vaccinated children have continued and intensified to this day. Contemporary observations of the ineffectiveness of vaccination indicate to me that the incidence of measles has increased and has not continued decreasing as it did for some 100 years before any type of measles vaccination was introduced. Conrad et al. (1971) published about the dynamics of measles in the US in the last four years and conceded that measles was on the increase and that “eradication, if possible, now seems far in the future”. Barratta et al. (1970) investigated an outbreak in Florida from December 1968 to February 1969 and found little difference in the incidence of measles in vaccinated and unvaccinated children. Right through the 1980s, measles outbreaks in fully vaccinated children have continued all over the US and all other countries with high vaccination rates all over the world. Robertson et al. (1992) wrote that in 1985 and 1986. 152 measles outbreaks in US school-age children occurred among persons who had previously received measles vaccine. “Every 2-3 years, there is an upsurge of measles irrespective of vaccination compliance”. To cap it all: the largely unvaccinated Amish (they claim religious exemption) had not reported a single case of measles between 1970 and December 1987, for 18 years (Sutter et al. 1991). It is quite likely that a similar situation would have applied to outside communities without any vaccination and that measles vaccination had actually kept measles alive and kicking. According to Hedrich (1933), there is a variety of dynamics of measles occurrence, from 2-3 years to up to 18 years, as later also witnessed by the unvaccinated Amish. MMWR (2009) reported that the US Centers for Disease Control and Prevention (CDC) had reminded physicians about the importance of immunization against measles in response to outbreaks of the disease in the US. 64 cases of measles were noted between January 1 and April 15 2008. “Measles outbreaks in Africa threatens gains” reported by Voice of America, July 9, 2010. “…nearly 90,000 cases of measles have occurred in Sub-Saharan Africa since June 2009, including about 1,400 deaths”. Shi et al. (2011) reported on measles incidence rate and a phylogenetic study of contemporary genotype H1 measles strains in China, calling for a new vaccine, since the incidence of measles in China has increased over the last decade. A widespread outbreak of measles was reported across Europe during European Immunization Week (April 25, 2011). Some 6,500 cases of measles were reported in 30 countries according to WHO’s press release. Instead of discontinuing vaccination with obviously ineffective and dangerous vaccines, re-vaccination, meaning further doses of the ineffective measles vaccines and the development of new vaccines are being recommended. Linnemann et al. (1973) concluded that measles vaccines were not provoking a proper immunological response in vaccinated children. Despite the obvious lack of success with measles vaccination, in October 1978, the Secretary of the Department of Health, Joseph A Califano Jr. announced, “We are launching an effort that seeks to free the United States from measles by 1 October 1982″. Predictably, this unrealistic plan fell flatly on its face: after 1982 the US was hit repeatedly by major and even more sustained epidemics of measles, mostly in fully vaccinated populations. First, the blame was laid upon the “ineffective, formalin-inactivated (‘killed’) measles vaccine, administered to hundreds of thousands of children from 1963 to 1967″. However, outbreaks and epidemics of measles continued occurring even when this first vaccine was replaced with two doses of ‘live’ measles virus vaccines and the age of administration was changed. These warnings have not been heeded. As the Swiss doctors wrote (Albonico et al. 1990), “we have lost the common sense and wisdom that used to prevail in the approach to childhood diseases. Too often, instead of reinforcing the organism’s defences, fever and symptoms are relentlessly suppressed. This is not always without consequences”. Many researchers warned straight after the introduction of measles vaccine in the US that the generations of children born to mothers who were vaccinated in childhood will be born with poor or no transplacentally-transmitted immunity and will contract measles and other diseases too early in life. Lennon and Black (1986) demonstrated that “haemaglutinin-inhibiting and neutralizing antibody titers are lower in women young enough to have been immunized by vaccination than older women”. The same applied to whooping cough. It explains why so many babies before vaccination age develop these diseases, and most particularly the much publicised whooping cough. Soon after measles mass vaccination started, concerns about increased cholesterol levels and deranged ratio of high-density to low-density lipids in young children started filling pages in the medical press. Vikari et al. (1979. Effect of measles and measles vaccine on serum cholesterol. Lancet; February 10: 326) quoted Drs Matthews and Feery (1978) who “…reported that immunisation with influenza vaccine seemed to be followed by an increase in serum-total-cholesterol and by a decrease in HDL cholesterol. They suggested that immunisation with viral antigens or natural virus infection might contribute to variation in lipid levels”. And, “We have measured serum-total-cholesterol in 97 children (average age 2 years) before and 6 weeks after measles vaccination (Rimevax, R.I.T. Belgium) and in serial serum samples of 27 measles patients (average age 4 years). Children were fed ad libitum. Antibody titres were assayed by haemagglutination inhibition and serum-cholesterol was measured with the method of Leppilnen. Samples from the same child were measured in the same series”. Vikari et al. (1979) then concluded, “Our data show that natural measles decreases serum-cholesterol values in the acute phase of the disease. This accords with the observations of Lees et al., who showed that experimental infection with sandfly virus infection decreased serum-cholesterol values for at least 10 days. Whether the same kind of decrease of cholesterol level occurs also after measles vaccination and, possibly, after other virus vaccinations needs to be clarified. Our observations support the view presented by Matthews and Feery (1978) that natural virus infection or immunisation with viral antigens induces changes in serum-lipid levels in man”. Bell et al. (2012) wrote, “In a large population-based sample of Australian school children we found a higher frequency of abnormal lipid profiles when compared to American data. In addition, many children have levels outside reported healthy norms for Australian children. Research tracking lipid profiles of Australian children to adulthood is needed to understand the association of these levels with future cardiovascular risk”. In her 72-page doctoral thesis, Louise Strandberg (2009) looked at length and exhaustively into interactions between nutrition, obesity, and the immune system. Importantly, she writes, “In the 1950’s, it was first recognised that dietary fat could contribute to cardiovascular diseases in the Western World. However, the Greenland Eskimos were known to eat large amounts of fat but still had a very low incidence of cardiovascular disease. In the 1970ies, Bang and Dyerberg found that the Eskimos had low levels of cholesterol and lipoproteins, except for the high-density lipoproteins that is [sic] now known as “the good cholesterol…quality of dietary fat rather than quantity is important for development of cardiovascular disease”. That would have represented the generation of non-vaccinated Eskimos. Based on medical research, a logical conclusion is that an important primary cause of the observed abnormal cholesterol and triglyceride levels in children may be an invasive medical intervention in the form of vaccination. Yesterday, when the child had high fever, they wanted also to perform phlebotomy but his two governessess were firmly opposed to the idea and instead kept the child warm. This one also would have certainly died if the doctors had had their way. I do not understand why they don’t learn by experience. Had they no heart, when they saw the Dauphiness die after phlebotomy and emetics, not to dispose of her child? Despite their long history of failures and tragedies arising from their observed derailing effects on the immune system, outdated procedures for both disease prevention, i.e. vaccination, and disease management, i.e. treatment hostile to the body’s defences, such as antibiotics and anti-pyretics, remain standard practice to this day. The damage already done will continue to affect future generations for some time to come. The unscientific standard procedures should be abandoned and the natural processes and the innate intelligence of the immune system respected. Medicine should adopt a common sense attitude to natural infectious diseases and their vital role in priming and maturing the immune system, for children’s long-term benefit. Rauh LW, and Schmidt R. 1965. Measles immunization with killed virus vaccine. Am J Dis Child; 109: 232-237. Fulginiti VA, Eller JJ, Downie AW, and Kempe CH. 1967. Altered reactivity to measles virus. Atypical measles in children previously inoculated with killed-virus vaccines. JAMA; 202 (12): 1075-1080. Scott TF, and Bonanno DE 1967. Reactions to live-measles-virus vaccine in children previously inoculated with killed-virus vaccine. NEJM; 277 (5): 248-251. Barratta RO, Ginter MC, Price MA, Walker JW, Skinner RG. et al. 1970. Measles (Rubeola) in previously immunized children. Pediatrics; 46 (3): 397-402. Conrad JL, Wallace R, and Witte JJ. 1971. The epidemiologic rationale for the failure to eradicate measles in the United States. Am J Publ Health; 61 (11):2304-2310. Linnemann CC, Hegg ME Rotte TC et al. 1973. Measles MgE response during re-infection of previously vaccinated children. J Pediatrics; 82: 798-801. Gustafson TL, Lievens AW, Brunell PA, Moellenberg RG, Christopher BS et al. 1987. Measles outbreak in a fully immunized secondary-school population. NEJM; 316 (13): 771-774. Black EI, Berman LL, Reichelt CA, de Pinheiro P et al. 1984. Inadequate immunity to measles in children vaccinated at an early age: effect of revacination. BULL WHO; 62 (92): 315-319. Robertson SE, Markowitz LE, Dini EF, and Orenstein WA. 1992. A million dollar measles outbreak: epidemiology, risk factors, and selective revaccination strategy. Publ Health Reports; 197 (1): 24-31. Sutter RW, Markowitz LE, Bennetch JM, Morris W, Zell ER and Preblud WSR. 1991. Measles among the Amish: a comparative study of measles severity in primary and secondary cases in households. J Infect Dis; 163: 12-16. Hedrich AW. 1933. Monthly estimates of the child population “susceptible” to measles, 1900-1931, Baltimore, MD. Am J Hygiene: 613- 635. Lennon and Black 1986. Maternally derived measles immunity in era of vaccine-protected mothers. J Pediatr; 108 (1): 671-676. Matthews and Feery 1978, Lancet ii: 1212-1213. Bell et al. (2012. Lipids in Australian children: cause for concern? 2005-2007 Busselton Health Study. J Paediatr & Child Health; Oct 2012: 863-953). Doctor and Co-founder of Cochrane Collaboration says Properly Prescribed Drugs Kill 100,000 a Year in U.S.